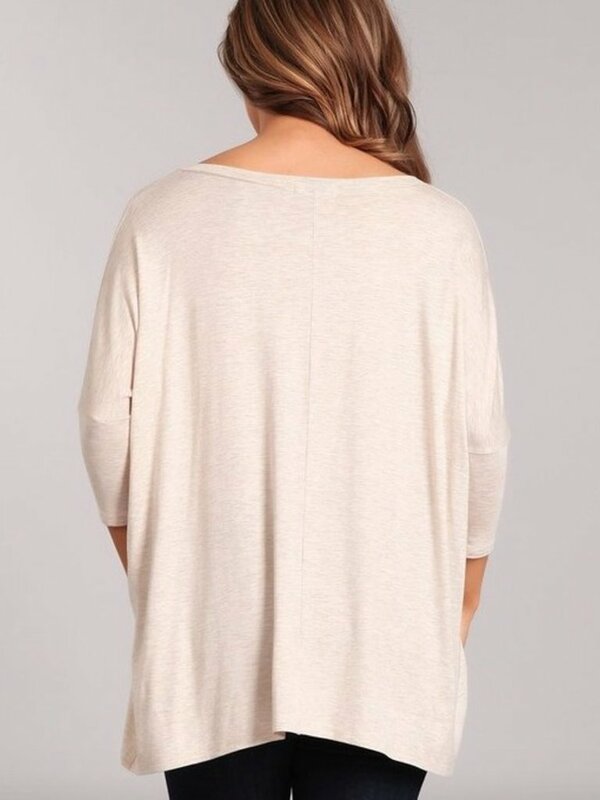 Oatmeal quarter sleeve featuring the dolman look with a graphic print and v neck. Wear this with a dark denim! Fits a tall and curvy body style best!